We are SAFEMORE brand direct-sale store, as well direct manufacturer. Safemore has been offering innovative power solutions to the worldwide market over 4 years. 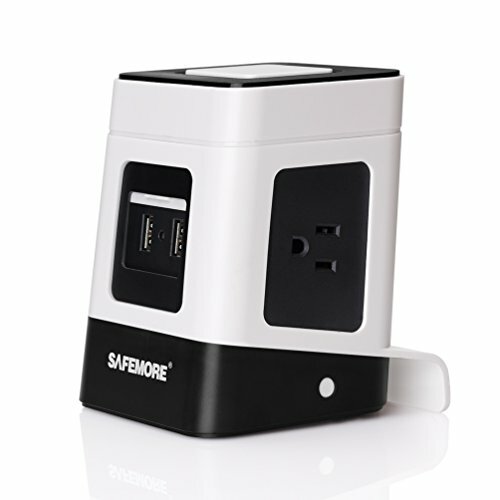 Design concept origin from Australia, Safemore devote to providing a different and safer power strip experience to the world! Special Vertical Design: 3 AC Outlets+ 2 USB Outlets saves space and you can get power at any angle you want for multiple devices. Safemore provide 30 days money back guarantee and 12 months worry-free product guarantee for every purchase. Hope you enjoy your buy in Safemore, any questions, please do not hesitate to contact us. Thank you!